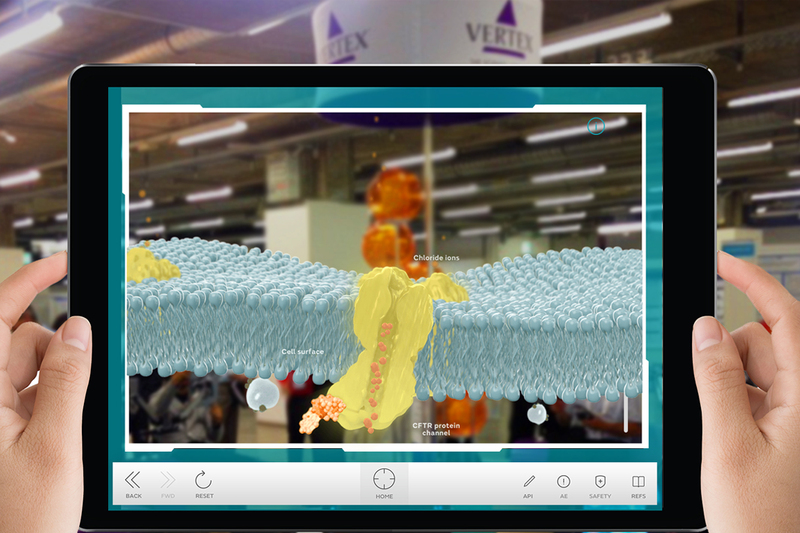 To develop an Augmented Reality experience for Healthcare professionals at the European Cystic Fibrosis congress in Basel. 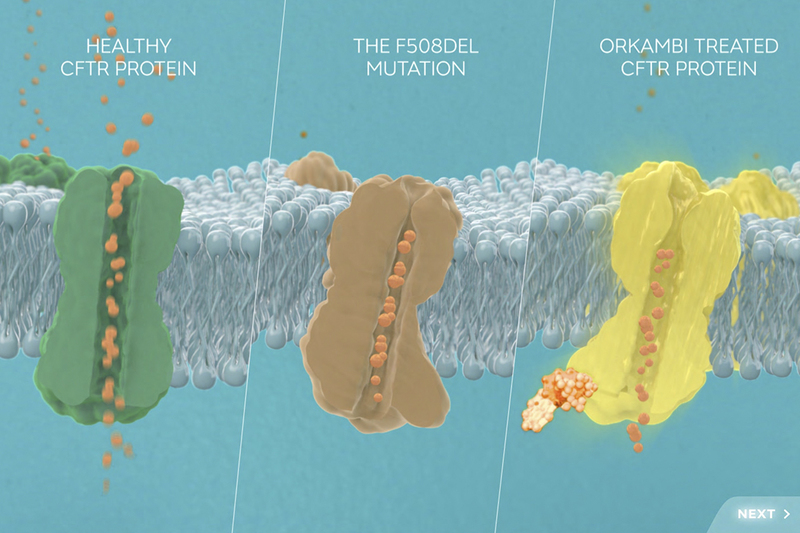 We developed an interactive guide educating and creating awareness of the Vertex drug for the treatment of Cystic Fibrosis. The guide included an immersive interactive augmented reality experience using the latest iPad Pro technologies. 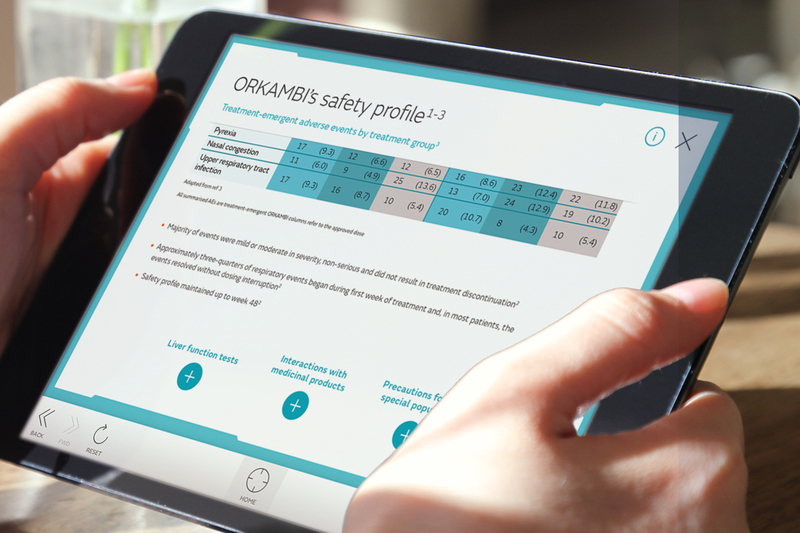 Also included was a short data capture survey to retain basic information from the HCPs, interactive graphs, video content and key pieces of information for users to digest. 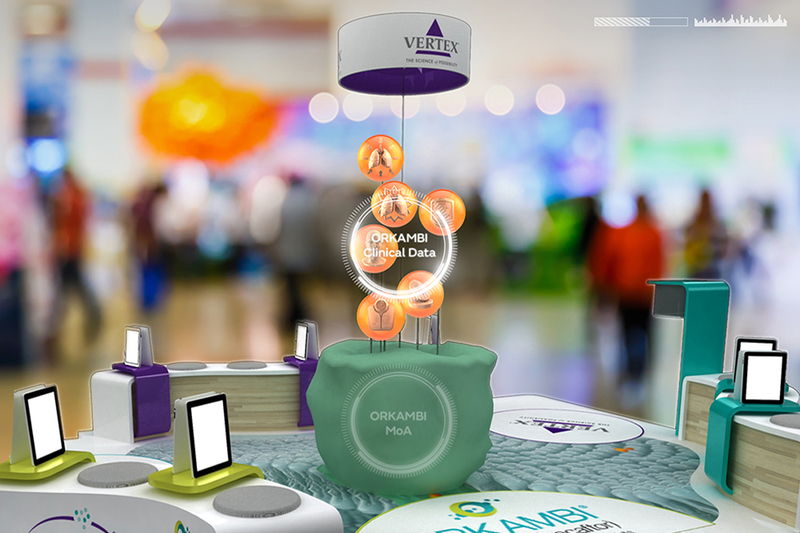 - Capturing data of key decisions makers for a follow-up meeting with a Vertex representative. 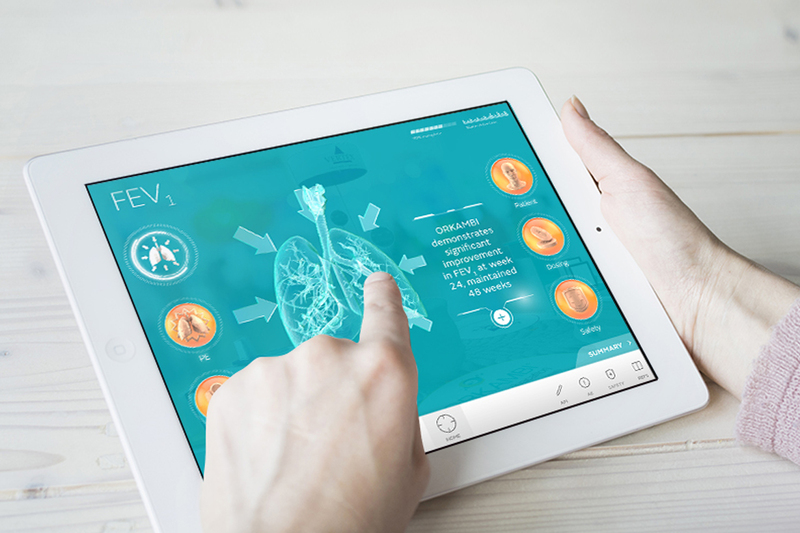 - The app received very positive feedback from HCPs and reps on the stand, and it was noticeably one of the most pioneering and interactive experiences at the European Cystic Fibrosis congress in Basel.